A mainly sunny sky. High 71F. Winds N at 10 to 15 mph..
OKANOGAN – An event to honor law enforcement personnel and community prevention efforts will be April 19. 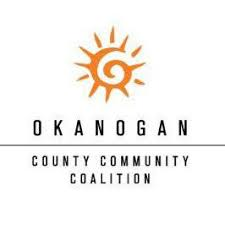 Okanogan County Community Coalition, Washington Traffic Safety Commission Target Zero Region 12 and law enforcement agencies are hosting the event at 6 p.m. at the Okanogan County Public Utility District, 1331 N. Second Ave. They will celebrate law enforcement and businesses efforts to reduce underage substance use and impaired driving, and efforts to increase safe driving in 2018. Two Omak Police Department officers, a Brewster Police Department officer, a Washington State Patrol trooper, and two Okanogan County Sheriff Office deputies for driving under the influence arrests and proactive traffic citations and education. The coalition will recognize Gene’s Harvest Foods and Rite Aid for their processes and procedures that have helped impact underage alcohol use and impaired driving in Omak. On April 20, 14 out of 17 Washington traffic safety regions will participating in “420 Impaired Driving High Visibility Enforcement.” Local participants include the Washington State Patrol, Omak Police Department and Okanogan County Sheriff’s Office. The coalition said that between 2015 and17, 58 percent of fatal crashes involved an impaired driver.